The holidays can be a stressful enough time for anyone, without throwing veganism into the mix. 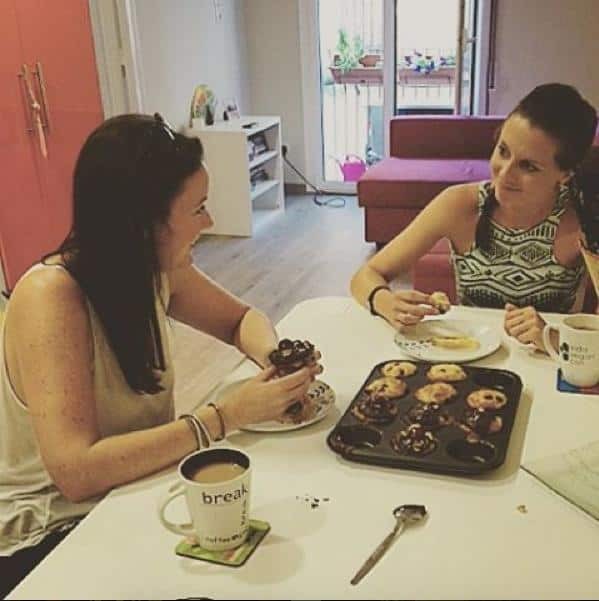 The first few holidays after going vegan can be extra stressful, as you navigate unfamiliar territory, making or modifying dishes to be vegan, dealing with dinner conversation that invariably turns to ‘so why are you vegan?’ and awkwardly receiving presents that may not be vegan. When you first went vegan (or if you’re hosting a vegan family member this holiday season) probably the first thing on your mind was “what will I eat at the holidays?” It doesn’t have to be as tricky as you think it could be. That brings us to a vegan main dish, and what stresses people out the most. We get so used to having meat as the centrepiece of the table that trying to come up with a vegan alternative can be stressful. But it needn’t be. 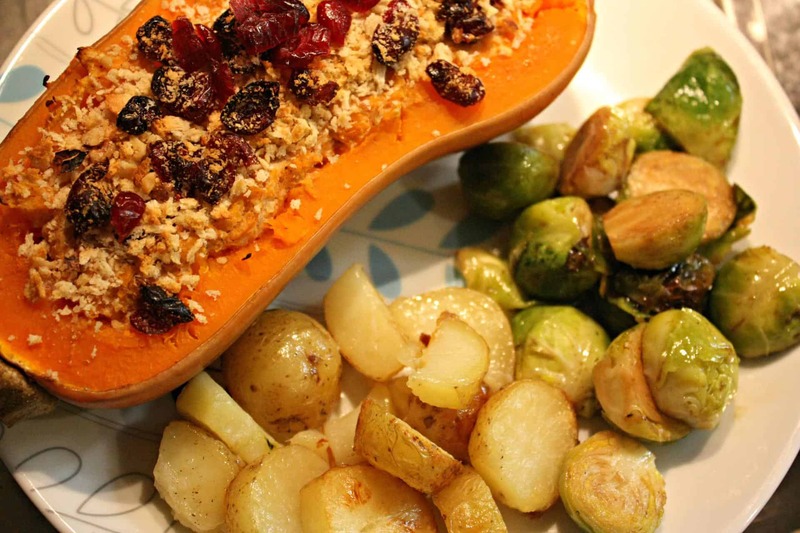 There are alternatives like Tofurkey, or there are plenty of delicious vegan dishes that make a great meal centrepiece, whether that is a roasted stuffed squash or whole roasted cauliflower (which make an impressive centrepiece) or a dish that happens to be vegan, like vegan stuffed shells or pasta. If you’re lucky, your family might agree to have an all-vegan meal; this can be great because it satisfies everyone, from the vegans to the vegetarians and many other diets too (like those with allergies to milk or shellfish). 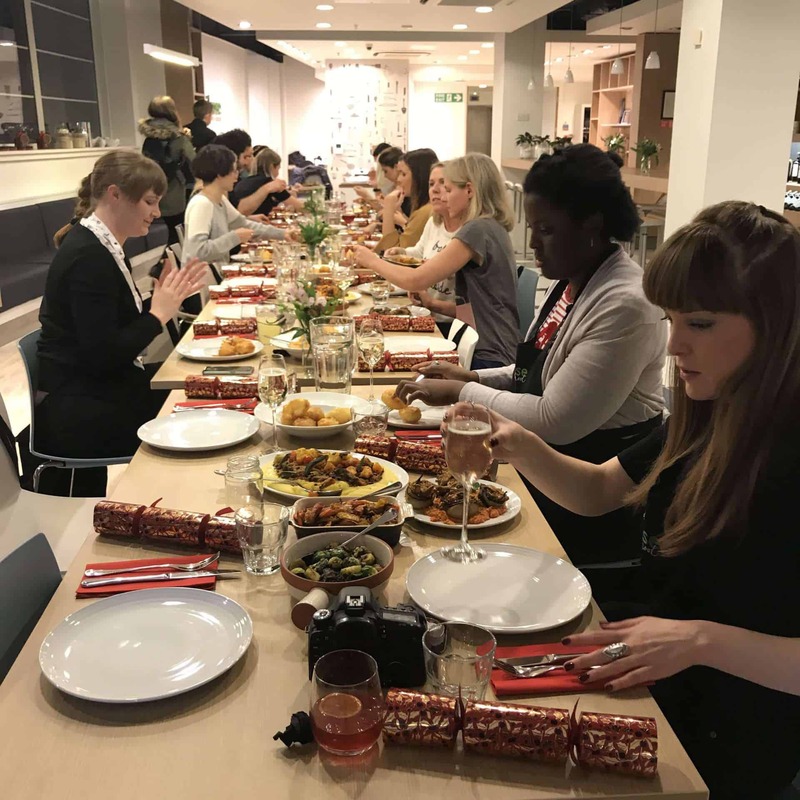 Last year I attended a Stir Up Sunday event hosted by John Lewis at the Waitrose Cookery School and while it was attended by a mix of vegans and non-vegans, they surprised us by making an Italian-style Christmas Dinner that was vegan and gluten-free, so it was suitable for everyone. It was one of the most delicious meals I’ve had in 2017 (sadly the chef made everything from scratch that day and didn’t have recipes!) and everyone liked it, and it was such a great experience because we could all share the same meal. But even if your relatives don’t want to make a vegan meal for everyone, you can still have your vegan main. Make your own and bring it along (be sure there’s enough to share because often when people see your alternative meal they want some too!). Or if your host is really understanding, they might make you a main (just be sure to run them through what is and isn’t vegan — you’d be surprised how confused people can get and you don’t want to add extra stress to their or your holiday). Many vegans say that the hardest part of going vegan is not the food but the social aspect (sure, it can be tough to give up cheese, but then you discover all the wonderful vegan foods out there, your food horizons expand and you end up falling in love with vegan food). It can be tough dealing with constant questions from friends and family, and having a conversation over the dinner table at the holidays can be one of the hardest experiences. How to prepare yourself for the inevitable conversations that will arise over holiday meals? Prepare yourself for questions, particularly if you’re new to veganism. Remind yourself that your family probably don’t mean to be antagonistic, but are usually just curious and want to learn more about why you made the change. It’s not a good time to go into lots of detail about some of the more harrowing aspects of factory farming — if someone’s asking a lot of questions and especially if you feel yourself starting to get emotional, it’s always best to suggest continuing the conversation later, away from the dinner table and everyone else. If you find your family are being aggressive, rather than just curious, consider why. Do they feel threatened by you going vegan? They may be questioning their own food choices (and getting defensive) or they might take your shift to veganism as an insult to your family traditions and culture. Remind them that you’ve made this choice for your own reasons, and you’re not rejecting family traditions, just animal products. You can also play vegan bingo if you find you’re getting a lot of the same questions. This might help you feel a little more lighthearted if you’re getting frustrated by being asked the same questions over and over. Having vegan friends (whether you meet them in your town on Meetup, or online, for example on Facebook groups) can help, if you need to vent. It’s great when you can talk to someone who knows where you’re coming from. 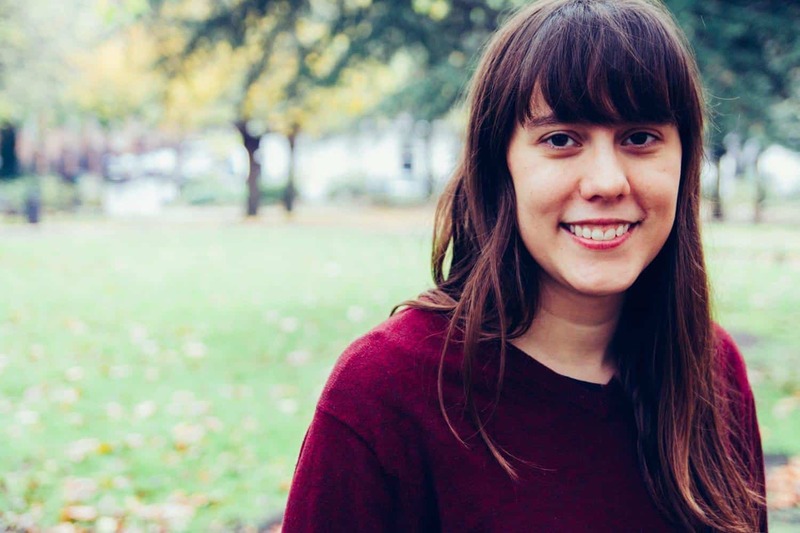 Kim at Brownble has more great suggestions on Conversations at the Table with Non-Vegans. Holiday gift giving can be fraught with peril as is (why does Auntie Edna always give you the weirdest gifts?! ); then add veganism into the mix and awkwardness can abound. To prevent the awkwardness or getting a leather jacket or silk scarf your first holiday season as a vegan, it’s best to inform your friends and relatives ahead of time exactly what is and isn’t vegan. If you aren’t sure how to do so, send them my vegan gift giving guide! In it, I explain what is and isn’t vegan and suggest over 100 different vegan presents they can get the vegan(s) in their life, by interest. 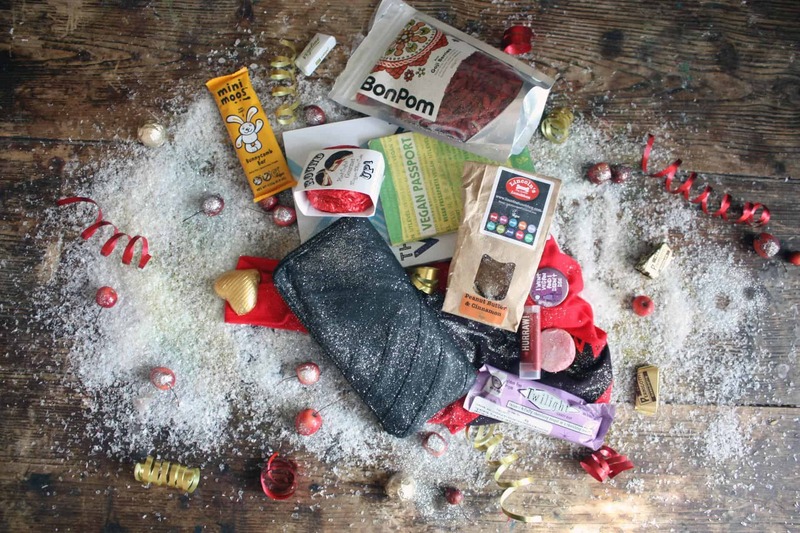 Of course, you’ll want to give vegan gifts too. Here’s my huge Vegan Gift Guide, with hundreds of ideas on vegan presents! If you do receive a non-vegan present and aren’t sure how to handle it, Cadry of Cadry’s Kitchen has a great guide to dealing with this situation gracefully: How to Handle Non-Vegan Gifts. Holidays and travel…the perfect recipe for stress! Don’t let it get to you. If you’re flying home for the holidays, make sure to prebook your vegan meal (airline code VGML) at least 72 hours in advance of your flight, either online or by calling your airline. 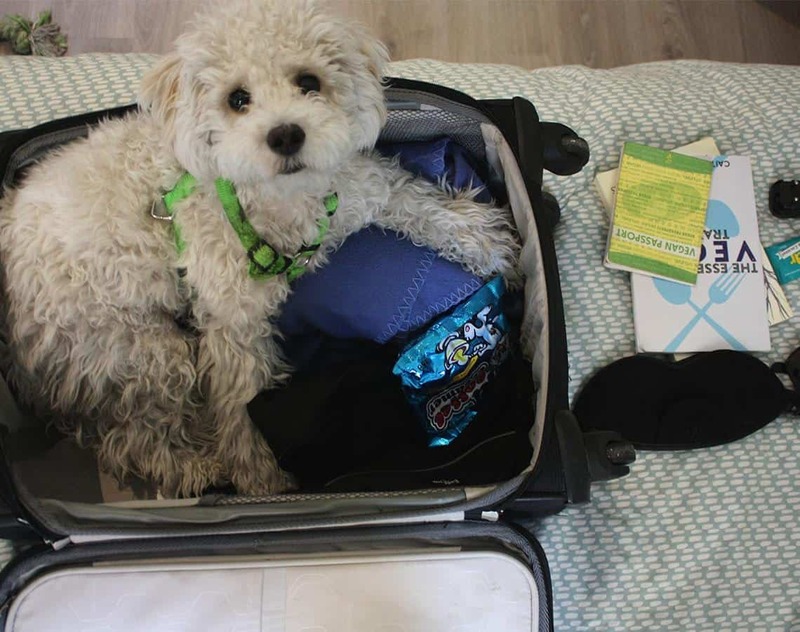 Make sure to bring vegan snacks with you, in case they forget your meal (or they aren’t serving food on your flight). It’s always a lifesaver to have a few vegan bars or nuts and seeds in your bag! If you’re driving, again make sure you have snacks. Or bring a cooler with some vegan food with you; you can restock along the way at supermarkets, and if you’re staying overnight you can even replenish the ice supply in your cooler with ice from the hotel’s ice machine. Check out my full list of healthy vegan road trip snacks here. I’ve got lots more advice on airline and car travel (plus more) in my book, The Essential Vegan Travel Guide. Vegan Holiday Gift Guide 2015 Best Blenders For Vegans: A Guide to the Ultimate Vegan Blender Tips for Vegans Travelling With Non-Vegans On Knowing When to Take a Holiday, and How to Actually Take One. And Book Babymoons. These are really great tips! Holidays can be really stressful when you first go vegan. I’m sure this post will help people get through their first vegan Thanksgiving and vegan Christmas with ease.